I’m typicaly a prolific reader but struggled with Julie Klassen’s latest Regency-era historical fiction, The Secret of Pembrooke Park. Typically in cases like this I wouldn’t even post a review but as I received a free copy from Bethany House, I am obligated to do so. Abigail Foster is trying to save her family from financial ruin. Ever practical, and in search of inexpensive housing they agree to travel and live at Pembrooke Park, a home abruptly abandoned eighteen years past. Mysteries abound including the story that there is hidden treasure in the mansion. Abigail hopes to find it and restore her family’s fortune. The local curate is welcoming and as much as his family knows the history of the place. His only warning is that strangers might come to search for the treasure. Mysterious letters and hidden rooms provide diversion in her quest as does the handsome pastor. Maybe she’ll find both love and treasure. . . or danger. This book is indicative of some others from this publisher which contain far more detail than necessary to tell the story. I found myself bored and easily setting it down for days on end with no real desire to pick it up again. I love Regencies but this is not a traditional light, sweet, Regency. It is a historical novel. While well-written it was not what I anticipated and coming in at 456 pages seemed too long of a book for the story to be told. 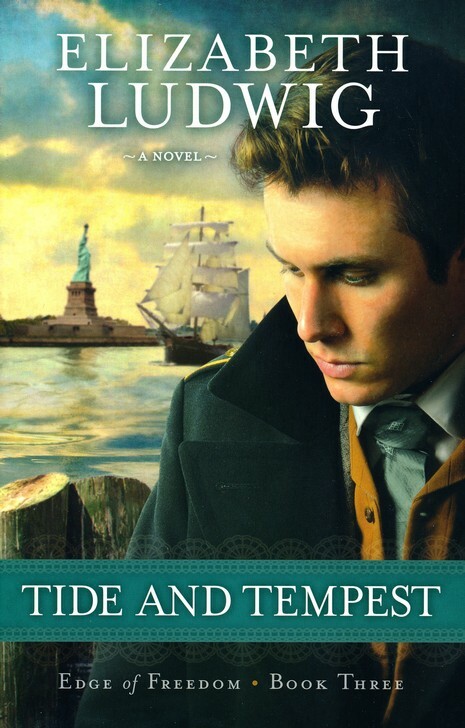 I am given opportunities to review books and was thrilled to read Elizabeth Ludwig’s newest novel, Tide and Tempest. I knew I was getting a historical romantic suspense and was transported into the world of Irish immigrants and their struggle to fight for their country’s freedom as well as adapt to life in a the new world of America. It’s been two years since Tillie McGrath left her Irish home, against the wishes of her parents, to travel with her fiancee to America. He died before they could arrive and Tillie has forged a new life for herself, moving past her grief and loss and personal shame over some of her own choices. She now lives in New York boardinghouse, has a steady job and plans to open an orphanage. Maybe she would never marry and have children of her own, but she would care for others. Living a life of hard work and service in an effort to purge her soul of her own sins, her life comes to an abrupt change. Captain Keondrick Morgan had never forgotten the young Irish lass who had been heartbroken on his ship. Following a life of duty though, precludes marriage. When he discovers that Tillie’s fiancee had been murdered, he worries now that maybe whoever did it might also be after Tillie. Morgan will do everything in his power to keep the invisible threat from succeeding. Accompanied by his younger brother, Cass, Morgan struggles with stronger feelings for Tillie, who he believes he can never have. At the same time he starts to unravel a threat more deadly than he ever expected. Now he will do everything in his power to keep Tillie safe, even if it means giving his own life or losing her to the affections of his charming brother. This book starts out slow as it builds the characters and the rich picture of the evil that is simmering behind the scenes. There is a light touch given to the faith of the characters. It is most fun when things really start to move forward with the action and the complexity of the underground societies that exist and could eventually bring about the demise of them all. With a beautiful ending this book qualifies as a happily-ever-after. If you love historicals and some suspense, this is a great read. I was given a copy of the book, by Bethany House, in exchange for this review. 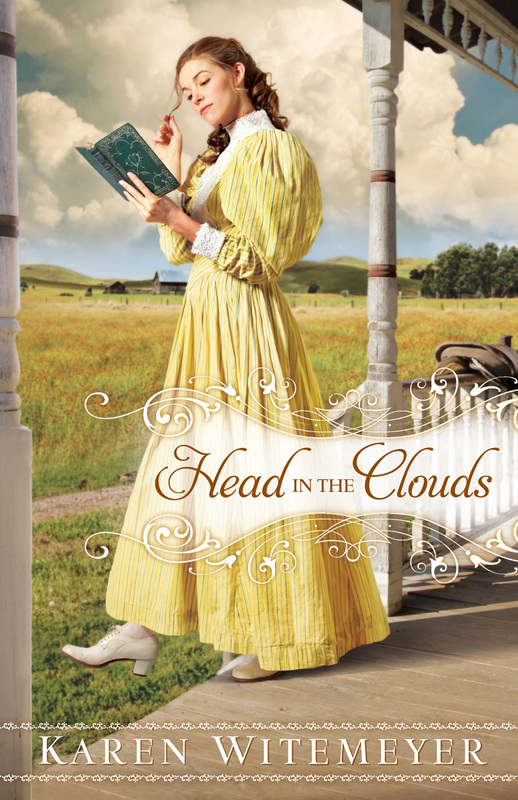 I’ve enjoyed several of Karen Witemeyer’s historical romances and when I stumbled across Head in the Clouds, I couldn’t resist. Adelaid Proctor wears yellow as her dad told her she was his sunshine. But dad is gone and all she has left now is a beautiful horse and the ability to teach. She longs for a home, a family of her own. Through a series of strange events she finds herself in the middle of Texas working for an English aristocrat turned sheep farmer, Gideon Wescott. Gideon hires Adelaid with some misgivings. She was the only governess who seemed capable of connecting with Isabella, his ward who had become mute at the death of her mother on the voyage over. Gideon’s heart ached to hear the little girl’s laughter and chatter once again, but he had a ranch to run and couldn’t be there for her all the time. Unfortunately for everyone, Isabella’s uncle has traveled from England to try to gain access to Isabella’s trust tht had already been contested in court. As they found out from Isabella’s mother’s journal, the death of the little girls’ parents were not accidental. Gideon fears for them all, and vows to keep “his girls” safe. Together they work to keep the little girl safe, fighting terrible odds. Will Adelaid lose it all or gain the happily-ever-after kind of love she reads about in her novels? This was a delightful story to read and tense at times as the suspense built. I love the pluck that all her female heroine’s have and their willingness to stand against the odds. 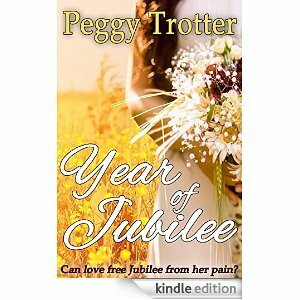 If you like Karen’s historical romances, you will enjoy this one as well. I’ve become a fan of Karen Witmeyer so when I had a chance to nab another free Kindle download of hers, I jumped. To Win Her Heart did not disappoint. Now, let’s just be clear. This is fiction. FICTION. Not real, let’s pretend and have some fun doing it. Karen does a good job of pairing two unlikely souls, a wealthy but jilted young woman and a blacksmith with a violent and criminal past. They bond over their love of books, but their budding romance is not without challenges. Between their differences in social background, wealth and secrets, there also lies someone who is out to destroy Levi to eliminate competition for Eden. The town Sherriff turns out to be a bit of a bully. The coolest part of this story is Levi, along with his less exalted roots and his foray into fighting, landing him in prison, has another strike against him, he has a speech impediment. Karen does a masterful job of accommodating for this in giving Levi a love of literature and an unusual ability to use words that avoid the “s” sound. Perhaps this is not as significant a problem for someone who just enjoys a good book, but as a writer myself, I found myself in awe of her willingness to tackle that kind of task and the effort is enjoyable as no one would expect a man of his background to use the kinds of words he does, and she makes it believable. 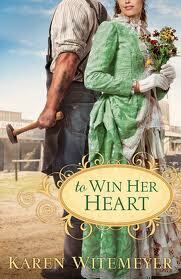 Now, if you don’t like historical, western, romantic fiction – then pass this one buy. But if you have read any of Karen’s other works, I encourage you to give this one a go. I enjoyed the time spent in those pages. I had seen promotions for Short-Straw Bride on Facebook and was intrigued. I saw the trailer and it whetted my appetite, which is unusual. I went to Amazon to put the book on my wish list. Then the opportunity came up with Bethany House to review it and I leapt at the chance. When I found out I would be mailed a copy I waited impatiently for it to come. I hesitated to read other things because I was so eager to read this story. Short-Straw Bride is a historical romance written by author Karen Witemeyer. Karen has a gift for making fictional characters come alive. This story, set in Texas, introduces a young girl, Meredith Hayes with a childhood incident with Travis Archer that spurs myriad dreams of love. All grown up and on the verge of a possible marriage, Meridith hears of a plot against the Archers and in desperation flees to their ranch to warn them of the impending danger. Trouble does come and Meredith’s reputation ends up in shreds. Four Archer men need to determine which one will wed her. After drawing straws, Meredith finds herself wed to the man of her childhood dreams, Travis, but wonders if he will ever come to really love her as she loves him. The book goes beyond this initial development in their relationship to follow the rocky course of love and misunderstandings and is filled with adventure, hope and yes, romance. All the characters are well-developed and believable. Headstrong, feisty Meredith struggles to comply with a man who is used to being entirely in charge of everyone and everything around him, supplanting God in the process. A woman on Archer land changes everything for this solitary band of brothers and all of it for the better. I look forward to reading more from this author. I loved Short-Straw Bride and had to re-read the last chapter again so I could sigh once more at the beautifully written ending. It was a book I had a hard time putting down and I enjoyed every minute spent in its pages. Beautifully done, Karen. Ms. Witemeyer and Bethany House get two thumbs up for not only creating in me an appetite to read this book and by not disappointing me when I finally did.